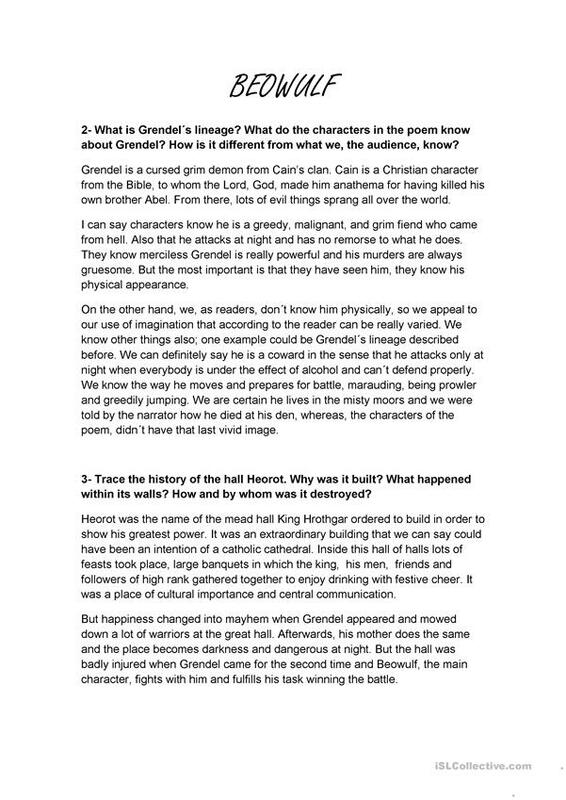 About Grendel and Heorot in Beowulf. This downloadable worksheet is intended for high school students at Intermediate (B1) and Upper-intermediate (B2) level. It is valuable for consolidating Present simple tense in English, and is excellent for improving your learners' Reading skills. It is about the theme of American/British English. vickyenglish is from/lives in Uruguay and has been a member of iSLCollective since 2012-07-12 03:28:44. vickyenglish last logged in on 2012-07-12 03:28:45, and has shared 1 resources on iSLCollective so far.